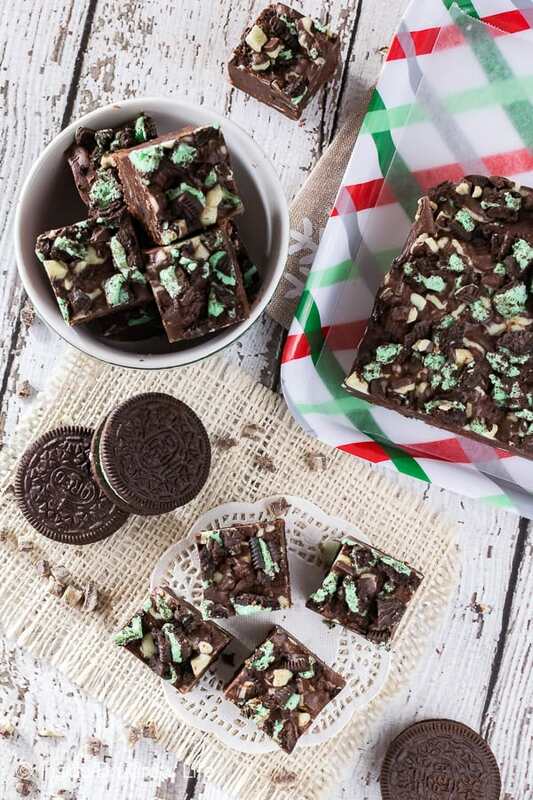 Cookie chunks and mint chips make this Chocolate Mint Oreo Fudge a creamy no bake treat that will disappear off your holiday dessert tables in no time at all. I’m trying really hard this year to get into the holiday spirit. This is our first winter living in a very warm climate. Not going to lie. It’s kind of strange to look over at our decorated tree by the patio door and see the open blue pool and bright sunny skies behind it. It’s also so strange to be driving around town and see all the holiday decorations around the beach and palm trees. We are totally loving beach life, but I think this first Christmas will feel different no matter what we do. 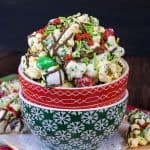 So in order to keep our holiday spirits up, I am taking it upon me to keep the air conditioner blasting cold air while I make tons of festive treats. It’s a mission I think I am up for. 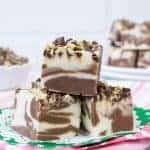 A few years ago I made this peppermint cookies and cream fudge and it instantly became one of my favorite holiday desserts. Yes, I know. I say that about just about everything I make. What can I say? I have a lot of favorites. 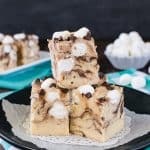 As I was planning out the recipes I wanted to make and share this month, I decided to give that amazing fudge a little twist. 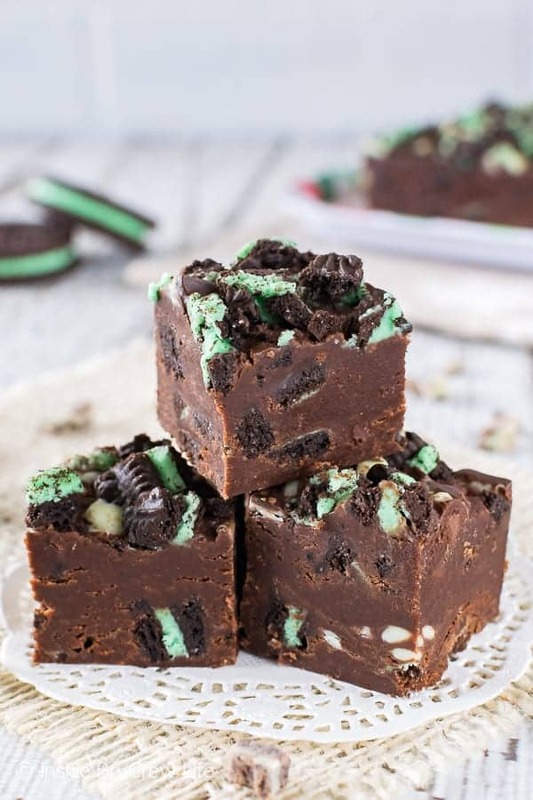 Basically it’s the exact same, but with chocolate and mint. And right now it may be tied with the other fudge for favorite. I can’t tell which one I like better. Guess that means I should make another batch of both to test side by side. My pants are cringing at that idea. 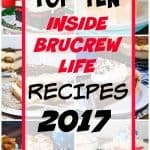 I love easy semi-home made type desserts. It’s what I do best around here. So it shouldn’t surprise you to find out that this fudge has a can of ready made frosting in it. 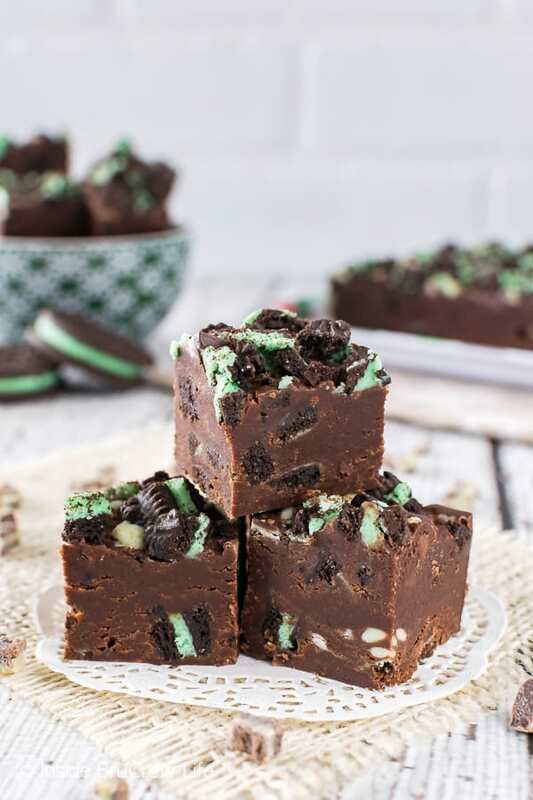 Frosting is the secret to this easy no fail chocolate mint Oreo fudge. Honest. You can’t mess this up. 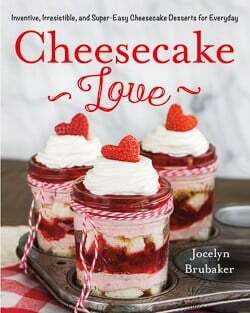 Well, I say that, but my mom couldn’t make this strawberry 3 Musketeers fudge. I have no clue what she did wrong. And then there was that time that I wasn’t watching carefully while I was making another pan of this no fail orange creamsicle fudge and scorched the whole batch. So, yeah, I guess you can mess it up. But if you keep your heat low and keep a close eye on it as it is melting, it works. 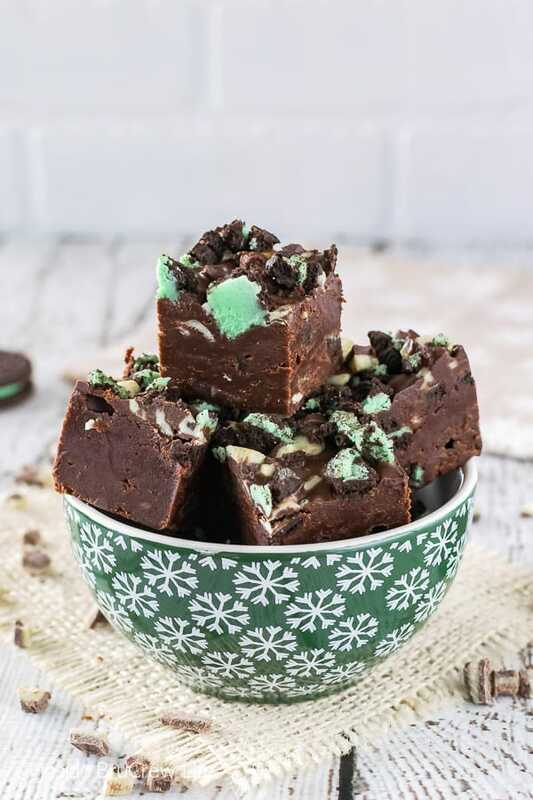 The other fun thing about fudge is all the thing you can throw into it. 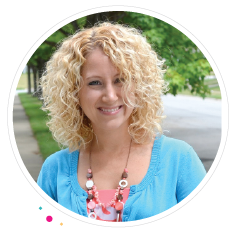 Just open your pantry door and start pulling out stuff you need to use up. I just would be careful what things you mix together. Peanut butter and mint doesn’t work together, but peanut butter and caramel is pretty dog gone good. One thing that I like to do is line my pan with foil. That way when the fudge sets up you can lift it out of the pan and cut nice little squares of fudge. My other trick is to run a big knife under very hot water and then dry it off in between each cut. The hot knife cuts through so much easier. Just make sure to pull the pieces apart right away and let them cool. 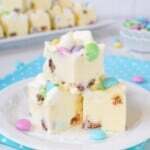 Then wrap up some cute little bakery boxes with some twine and stickers and start passing out some fudge fun. Place the chocolate chips and butter in a saucepan over low-medium heat. Stir constantly until melted and creamy. Open the frosting and heat for 1 minute in the microwave. 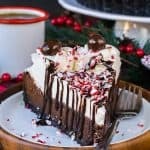 Pour into the melted chocolate and stir again until creamy. Let the mixture cool for 10 minutes. Stir in 8 of the chopped cookies and 1/2 cup of the mint chips quickly. Pour into the prepared pan. 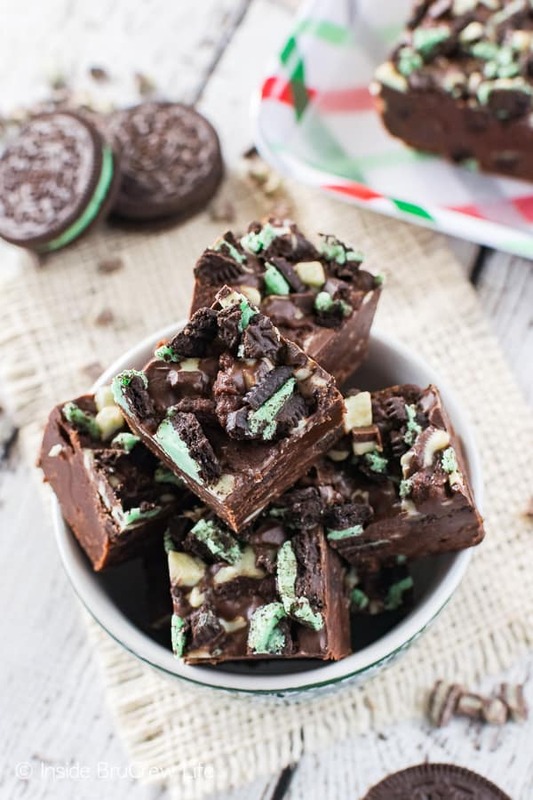 Sprinkle the remaining 4 chopped cookies and mint chips on top. Let cool completely. Cut into 36 squares. Oh dear ! Exactly what I was looking for ! Thank you so much !